Starting and finishing in Queenstown, begin with a journey to the wild West Coast and see some of New Zealand's might glaciers. With two nights on the coast, take the time to explore this beautiful region and try some of the nearby walks. 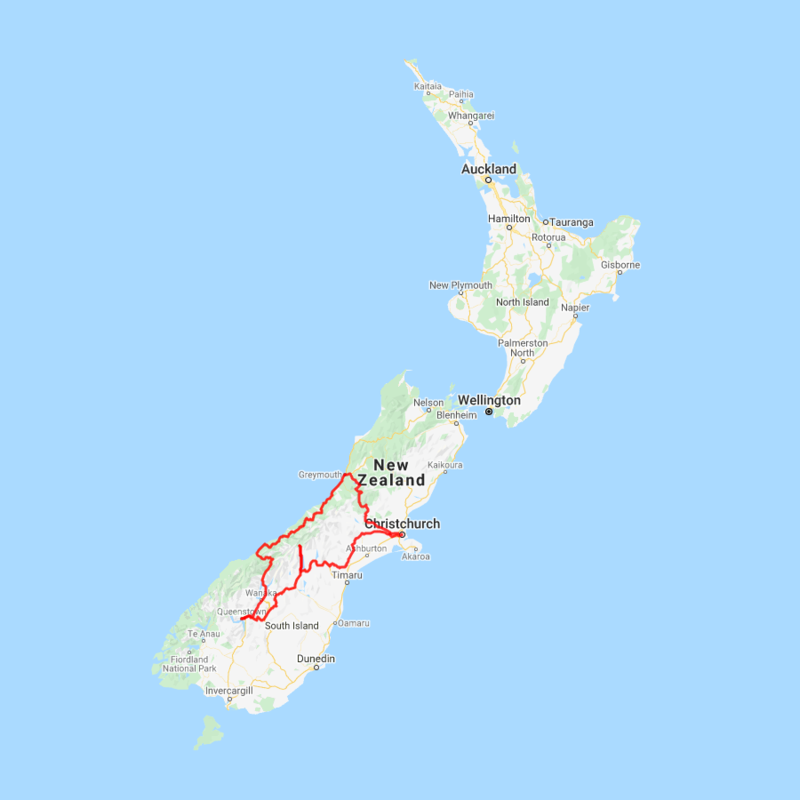 From here continue to Greymouth where you will embark on a journey across the Southern Alps on board the TranzAlpine scenic train to Christchurch. Travel from Christchurch to Mt. Cook National Park to discover the secrets of the rugged alpine landscape. Finish up back in Queenstown with some more time to explore and try some new activities. You can expect to spend around NZ$164 in fuel cost on this itinerary based on an intermediate sized car.